Trident Series 80B - Trident 80B series - The classic British mixer. The 80B has open sounding mic pre's & a very 'musical' eq as they say... it's the classic Trident British sound, and in fact you can buy a re-issue of the 80B EQ in a rack - Joe Meek is the distributor for Trident-MTA re-issue stuff... The Trident-MTA Series 80B rack contains 2 80B re-issue eq channels & are designed and engineered by Trident founder, Malcolm Toft... But there's more Trident re-issues/continuation around too!.. Trident consoles were started in 1972 and took their name from Trident Recording Studios in London. At that time the studios were one of the most famous independent recording studios in the world, having been the first 8 track studios in Europe, obviously a major incentive for The Beatles choosing this studio to record their biggest ever single record "Hey Jude". Subsequently many famous artists such as Elton John, David Bowie, Queen, T-Rex etc used Trident Studios to record some of their most successful early albums. From this background and knowledge of the recording process, and an initial frustration with the limitation of equipment that was available during the early l970s Trident was formed. Requiring a new 24 track recording console for their main studios, Trident investigated the market place for a console that would fulfil their forward thinking needs. Trident decided to design and construct its own console to be sure that they got exactly what they wanted with the added advantage of being able to maintain it. Trident could also manufacture and sell to studio owners. The Trident Studios first console was known as the "A" Range. It was extremely innovative for its time and was installed in one of the major international studios. From this beginning the Trident range of consoles has grown to be one of the most well respected and established in the world today. PMI Audio Group is pleased to announce that Fletcher ElectroAcoustics, makers of Joemeek, has acquired the assets of Malcolm Toft Associates. Malcolm Toft was the founder of the legendary Trident consoles in 1972. Since leaving Trident, Malcolm formed MTA, which was based on Malcolm Tofts original Trident designs using today's advanced circuitry to improve upon the original. The new company will carry it's 1972 founding name, TRIDENT AUDIO DEVELOPMENTS LTD., but will be known as Trident-MTA. Malcolm Toft has acquired a position with Fletcher ElectroAcoustics and will remain on to supervise the console division of Fletcher ElectroAcoustics. Ted Fletcher is no stranger to consoles being the designer of the original Alice Mixing Consoles, and building the first 110 channel console for the play Jesus Christ Superstar in the mid 1960's. "The Trident sound is often refered to as legendary, and comes from an illustrious pedigree" said Ted Fletcher. "No compromises will be spared to ensure that legendary sound and integrity remain built into the Trident-MTA name. PMI Audio Group based in Torrance, California, will handle all the sales and service on Trident-MTA in North, South, Central, and Latin America". "We are pleased to be associated with Trident-MTA", said Alan Hyatt, President of PMI Audio Group. "Trident Consoles have always stood for quality sound and amazing EQ. We are looking forward to seeing new creative ideas coming out of Trident-MTA". "It's refreshing to see the demand for analog consoles in this digital age", said Hyatt,"It goes to show you great sound and ease of use for tracking and mixing still give analog consoles the edge". A Range - First console made in 1970, split design. B Range - Second split design console, 1973. 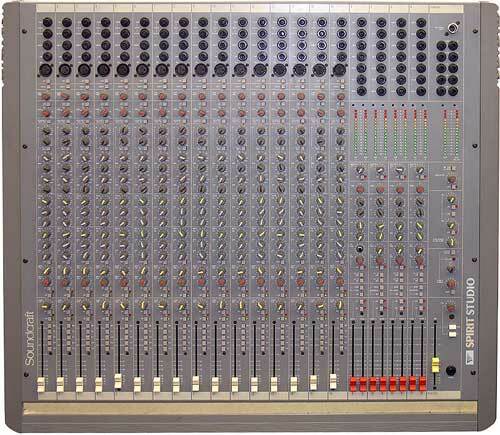 Fleximix - Live sound console, launched 1979. TSM - First Quad console, split design,1979. Series 80 - First introduced in 1980, this fully modular console, very ruggedly built for use in fully professional studios, is well known for its very high quality of sound. In 1982 Trident was awarded a contract to supply Swedish Local Radio with 24 Series 80 consoles over a one year period for use in mobile broadcast vehicles. Series 80B & 80C - During 1983, Trident introduced new versions of the Series 80 range designated the Series 80B and, in 1987, Series 80C. Trimix - Split design, rear panel patching, mobile, no stand. Launched 1981. S70 - Hybrid Trimix, on board patchbay, studio version, on stand. Launched 1983. TIL - First "Trident In Line" console. Launched 1984. 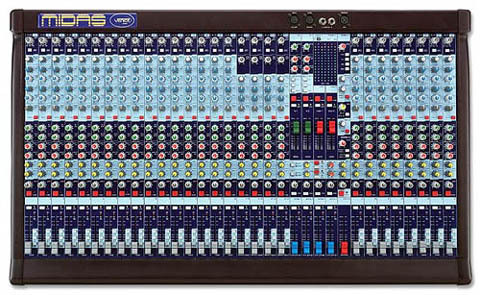 Series 65 - A low cost fully modular and extremely versatile multi-track recording console. Launched 1984. Series 75 - A larger counterpart of the S65. It incorporates larger meters and an integral patchfield. Launched 1985. Series 16/24 - A hybrid between the S65 and S75. Utilises the S75 modules in a S65 frame, providing the S75 but in a smaller physical size and without the patchbay. Particularly useful for home recording studios. Launched 1989. Di-An - Owing to the frequent clashes of artists' schedules versus available studio time, recording engineers and record producers were for many years seeking ways to memorise the settings of all of the recording process in one session. The Di-An was the answer to this requirement, launched 1986. By providing digital control of analogue audio, Trident is able to provide the all important manipulation of audio via the digital domain i.e. storage, retrieval, reset etc., of all of the console's functions. All information can be stored and retrieved at a later date by means of 3.5 floppy disks. Vector 432 - Launched on 22nd September l989 was the second 'In-Line' console to be designed by Trident. Already in use with Broadcast customers within the U.S.A, Japan and Europe, the Vector has also been sold to music and video post studios as well as custom versions fitted with LCRS panning for the film industry. 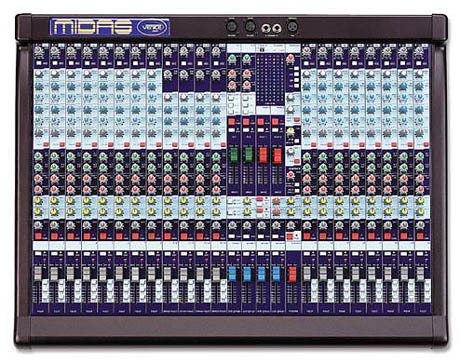 This multi purpose console features 32 multitrack busses, 4 stereo busses and a choice of 4 modules including a stereo input with both stereo mic and line inputs. Series 90 - This console was first shown on the 3rd June 1992 at the APRS Exhibition, Olympia. The Ninety is offered as standard with a choice of either Trident's dual VCA fader automation or our Moving fader/VCA fader automation. Both systems include 12 automated switches per channel and machine control. The Ninety is a 24 bus console available in either 40 or 56 channel frame sizes. Ventura 85 - Launched at the San Francisco AES in November 1994, this console was developed to fill the niche below the Ninety series and is available in 32,40 and 48 input versions with an optional automation package. So there's some history & info on the maker & companies etc which is quite interesting... Alice are still going of course, in fact a guy I know is selling off two mint Alice 12-8-8's so if anyones interested mail dancetech admin... Ted Fletcher by the way is the Joe-Meek guy who used to make comp's etc for the BBC and others... the JoeMeek range are his optical compressor designs. Toft's other big sucess was the MTA series boards.... Toft copyrighted the A series design in 1973 under his company, Trident Audio Developments Ltd, & they also had the 90 series which was popular & the According to websources, the 80B is one of the best sounding full consoles in the $20-$50k price range & was certainly one of the most sucessful British consoles. built by Malcolm Toft, (Trident is now owned by Fletcher Electroacoustics), configured as split 32 channel x 24 x 24 with 6 aux's on channels. The 80B has open sounding mic pre's & a very 'musical' eq as they say... it's the classic Trident British sound, and in fact you can buy a re-issue of the 80B EQ in a rack - Joe Meek is the distributor for Trident-MTA re-issue stuff... The Trident-MTA Series 80B rack contains 2 80B re-issue eq channels & are designed and engineered by Trident founder, Malcolm Toft. With the sale of Old Trident Audio Developments in 1999, a void was created in the industry. 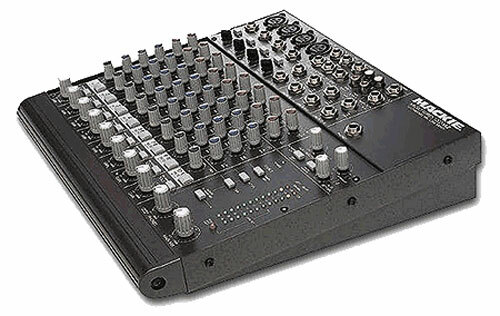 There was no-one serving the Professional Analogue Console market. Enter Tri-Tech Audio. One of the original designers and innovators of the famous Trident circuitry that gave them their unique sound was Mister S S Sidhu, he along with long time Trident veteran Mister William Childs and a crew of Trident technicians have gone to work redesigning the circuitry, creating a new console, making it even better. Better sounding, better flexibility, better ergonomics, and a better stronger overall design. 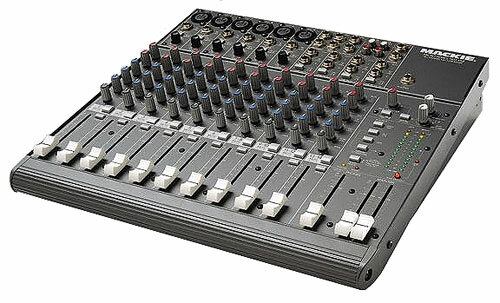 They have developed the "Ultimate Professional Analogue Recording Console". It's been a year now, and the console is ready for it's coming out party. Tri-Tech Audio has reached a new milestone in the industry. The TS-24 recording console is the first of many products to be offered by Tri-Tech Audio. In the future we will see outboard gear as well as both Large format and Smaller format recording consoles, all featuring the same famous circuitry that gives the legendary sound known as the "British EQ". Anyways checkout their TS-24 - (http://www.tritechaudio.com/) - it looks superb!!.... They also do Trident parts. hi, i have one of these and want to sell it. any recomendations? Hi I am looking for one of these or simillar. Please email greendragon@helloworld.com. If you have one o know of one for sale. The date given above for the launch of the Trident Fleximix is wrong by 3 years. production of "A Chorus Line" in the spring of 1976 designed by Abe Jacob. Edward theatre in London in early 1978.
matter of great pride as it was the first 'proper' mixer we had acquired. proved to be the Fleximix's Achilles heel for the rest of its life.